Diane Speas will guide you in painting your own Barn Quilt. 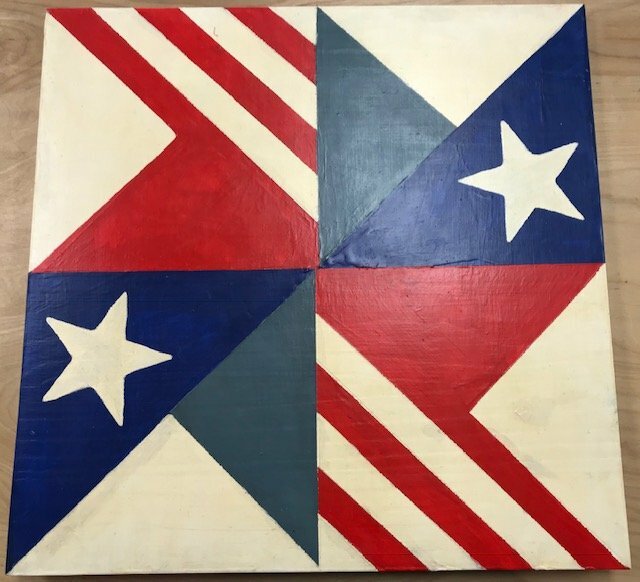 In this 1 day class you will finish a simple Quilt block pattern on a 20" X 20" wood board. Or if your design is more complex you will learn all that's necessary to finish at home.